For easy reference, you can access this page using FlashTags.org (it redirects here). One of the things I struggle with is clearly conveying to someone how strongly I feel about something. This is sometimes referred to as "Hill Dying Status" (i.e. do I feel so strongly about this that it's a hill I'm willing to die on). By the way, not sure who originally used that phrase but I think it was Brian Halligan or maybe JD Sherman. Doesn't matter. I come across an interesting article or video (sometimes about a competitor) and send it along to someone at HubSpot. Without context, they might think that I'm saying we should be doing that or adding that feature or somehow reacting to that news. But, most of the time, it's just something that I thought was "interesting". Someone asks me a question or opinion on something. Turns out, I have opinions on everything. Sometimes, those opinions are even well informed. So, I share my opinion. Might be a hallway conversation or an email or whatever. Now, based on my history with that person, they may think: "Well, Dharmesh thinks I should do X so I'm going to do that, even though I was going to do Y." This is a problem because I almost always have much less information/data than the person asking the question – and I haven't really dug into the issue like they have. They're overvaluing my opinion. Every now and then I feel super strongly about something. (Often, these are SFTC related). I "express" my feelings in a response to a long email thread. It gets buried in there, and then "dies". Nobody does anything. Not even a response. That makes me sad – but it's my fault. The person I had expected to at least respond had no idea that I felt strongly or wanted a response. So, I now share with you my not-so-secret hack to quickly communicate important context (either in a conversation or in an email thread). I've been using this for a while, and thought you mind find it useful as well. It's even easier than Sunday morning (which I've always found to be a poor benchmark): All you have to do is include one of the flashtags below in an email, Slack or even in a conversation. That's it. The tags are in ascending order of escalation (starting with the “I don’t feel strongly at all” to the “I really, really feel strongly"). #fyi -- Had this thought/idea/article/video/whatever pass through my brain. I haven't spent a lot of time thinking about it. You can read it or not. Act on it or not. No response needed or expected. Hill Dying Status (am I willing to die on this hill): I don't even see a hill. #suggestion -- Here's something I would do if I were you. But, I'm not you -- and you own this, so your call. Just consider it and weigh it against other things you're considering. I won't be offended if you go another way. A quick reaction/response would be appreciated (so I can learn what kinds of suggestions are useful/valuable), but is not necessary. Hill Dying Status: I saw the hill, but didn't feel strongly enough to commit the calories to climb it. #recommendation (or #strongrecommendation)-- I've thought about this a lot. It's kept me up at night. I dug in. I think I understand the tradeoffs. You can choose not to take the recommendation, and go your own way, but please do it for good reasons. Please dig in a bit yourself and have a well-reasoned rationale for why you don’t want to take the recommendation. Please don’t ignore or dismiss it out of hand. A response (either way) is politely requested. If it's a #strongrecommendation then a response explaining why you're not taking it is probably a good idea. Hill Dying Status: I climbed the hill. I breathed deeply I contemplated my life. I walked back down. #plea -- We don't like issuing edicts or directives at HubSpot. But...please, please, please just do this. Trust works both ways, and I need you to trust me on this. If you still feel compelled to resist, something’s not right, let's chat. Maybe even in (gasp!) person. Hill Dying Status: Dying on a hill is not on my bucket list, but if it were this would be a really good candidate. That's it. With just a few extra characters in that email or Slack, you can quickly convey how strongly you feel about something. Use it if you find it useful. It's just a #suggestion. p.s. 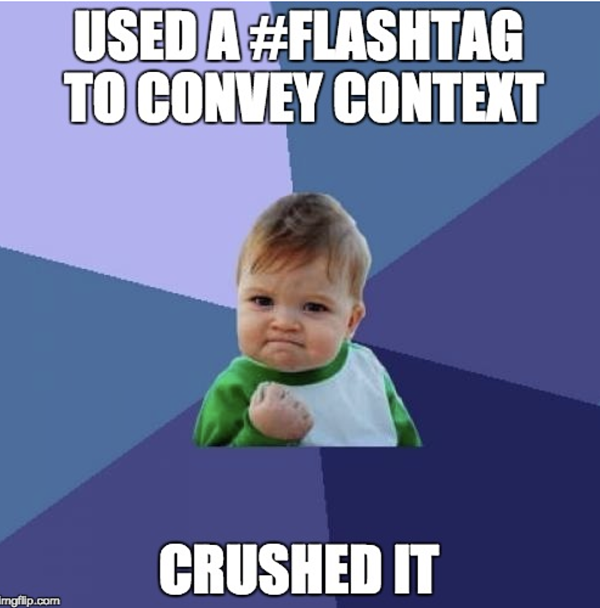 Why did I call it a #FlashTag? Because it's about communicating something in a flash (and flash rhymes with hash). And yes, I asked GrowthBot for "words that rhyme with hash". Oh, and in case you need to find this article again or tell somebody about it, just use FlashTags.org (it redirects to this page). Startups Are Winning the Remote Work Game. Here’s the Data That Proves It. Today the State of Remote Work 2017 report revealed that 63% of people in product and engineering roles work remotely at least once per week, which is 21% more than the average. 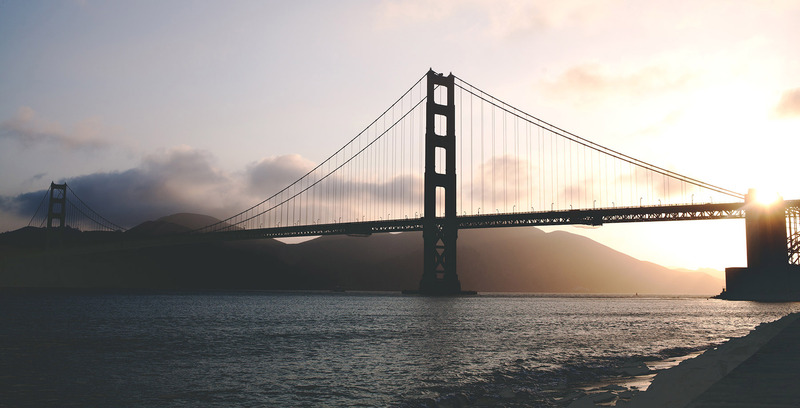 Along with key findings on how remote work is changing the workplace, the report also revealed that startup environments may be a particularly strong match for remote work. Why might that be? When breaking down remote work by company size, the report found that smaller companies are 2X more likely to hire remote workers than larger companies. Considering stage, sense of innovation, hiring needs and nimble state, startups have the upperhand when adapting to this cultural shift toward flexible work. In fact, I believe that startups are uniquely positioned to transition to remote work much more fluidly than other companies, and thus are likely to get far more benefit. 1. Remote work expands the startup talent pool. As a leader of a startup, recruiting the best possible team is arguably one of the most important parts of the job and could make or break your long-term success. Finding the right person also can be incredibly difficult, especially if you are limited by your own network and local community. One of the most effective ways to maximize your talent pool is to remove all geographic limitations. Think about it ... perhaps your perfect VP of Engineering isn’t a reasonable commute away. Companies who are open to growing their team by hiring remotely are much more likely to find the unique skillsets needed for the job. 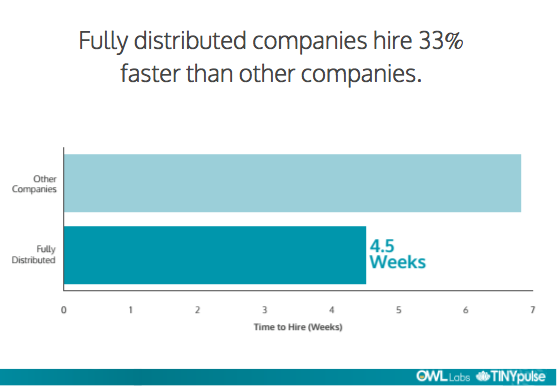 In fact, the State of Remote Work found that fully-distributed (or fully remote) companies hire 33% faster than other organizations. Use it to your advantage. 2. Expands diversity of thought. Here's another key benefit when hiring outside your bubble. When you remove geographic barriers, you will most likely find people from different parts of the country (or world) with varied perspectives -- and these individuals can bring strong diversity of thought. Harvard Business Review examined the impact of diversity on business. The article cited a study by the London Annual Business Survey, which found a strong correlation between diversity and effective innovation. The report discovered that, "businesses with culturally diverse leadership teams were more likely to develop new products than those with homogeneous leadership." Lean into this opportunity. Hiring a remote team can be an effective forcing function to find candidates and employees who bring experience much different than yours. 3. Remote work builds trust. When leaders work with remote employees for the first time, it’s common to be concerned about productivity. Will the remote person use her time effectively? How will you know if you can’t see her working at her desk? Pause right there. What’s the real issue here? Is the problem that the person’s desk is 1,000 miles away? No. The issue is an absence of trust. In this case, the manager needs to back away from the compulsion to “monitor work.” That’s a cultural poison, and it also doesn’t scale. Building a culture of trust early will be especially impactful as the company scales. Startups don’t have time to babysit. Let your teammates results speak for themselves. 4. Drives flexibility. Employees at an early stage startup most likely have the propensity to work long and odd hours -- and most likely from anywhere. 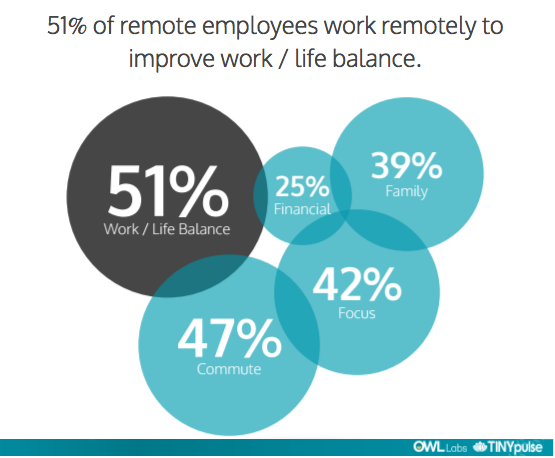 The State of Remote Work report found that 51% of remote workers choose to work remotely to support their work-life balance. Work-life balance is a challenge in any startup. (Let’s be real, our startup is our life.) However, supporting remote work to add flexibility to one’s life does make it easier to balance personal goals with professional. And happier employees will work even harder. 5. Develops culture. The larger an organization gets, the more difficult it becomes to make substantial cultural changes. If a later stage company wants to transition to a remote or flexible work environment for the first time, while possible, it will take significant planning and communication across the full employee base to make it work. Remote work is also a forcing function that makes startups scale communication early. Think about it. When you have a small startup collocated in the same space, you can rely on your close proximity to communicate well. If your organization is distributed, you need to learn how to communicate effectively across multiple locations, time zones, and technologies. These skills will prepare you to communicate effectively when your company is 10X its current size. 6. Lowers office costs. As a startup, every penny counts. Leaders need to make smart investments and keep a close look on the impact of their investments. While saving money shouldn’t be the primary advantage of supporting a remote work culture, it certainly can be a perk. For example, in Boston (where I’m located), the average yearly cost to rent office space per employee is $6,080. In San Francisco it’s $13,032. While of course you should financially support your remote employees' work-from-home office setups, the costs will be substantially lower. 7. Retains employees. 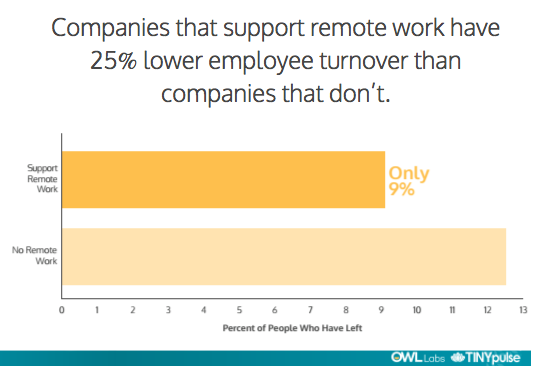 The most striking data point in the State of Remote Work was that companies that support remote work see 25% lower employee turnover than companies that don’t. Considering the points earlier, perhaps you aren’t so surprised. As we discussed, companies that support remote work are more diverse, flexible, and practice trust. If you build your startup with those building blocks in your DNA, you’re off to a great start. This was a guest post by Rebecca Corliss of Owl Labs. She and I had the pleasure of working together for eight years at HubSpot, and she’s since rejoined the startup ecosystem. If you're as passionate about remote work as she is and want to learn more about the data cited in this post, check out Owl Labs' State or Remote Work 2017 report.